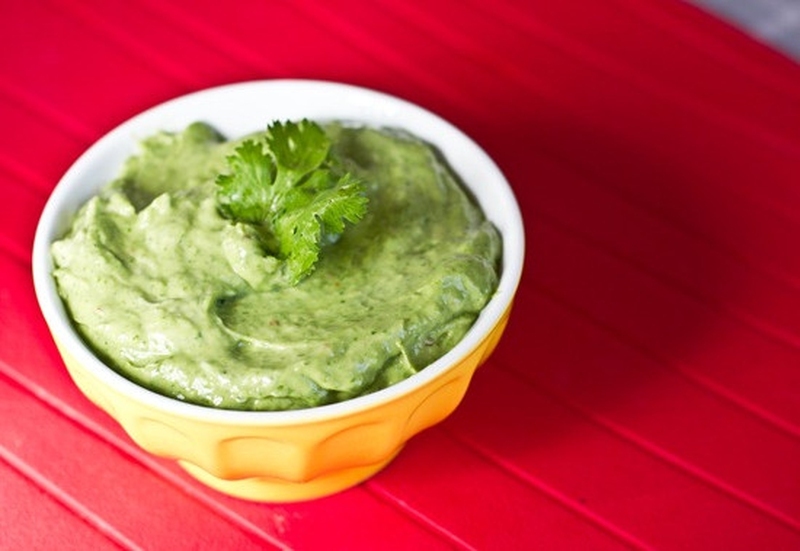 Here comes the healthy creamy cilantro-avocado dressing! A salad of romaine lettuce, black beans and grape tomatoes would be the perfect fit for this dressing. Enjoy this salad with pine nuts or crumbled tortilla chips on top! Put all of the ingredients into a blender and blend the mixture until it develops a smooth texture.